Meditation has steadily gained popularity over the last decade resulting in numerous centers throughout Kathmandu. The post popular are listed below. This institute located in Baluwater offers evening mediation classes and weekly dharma teachings while offering several workshops in Tibetan art and mediation. The venter offers a well-maintained meditation room as well as a library. The institute is known from its partnership with Kopan Monastery and offers weeklong mediation classes semi-annually. This center offers 10 day meditation courses requiring extreme dedication as students take a vow of silence for the course. The course beings at 4:30 am and is supported by private donations from previous participants. Know for offering discussion on the foundation and principles of Buddhism while offering short mediation workshops. The center also has a partnership in Patan offering 5-day courses. Offers complementary one hour meditation sessions every morning. Consisting of 3 branches the most famous is located north of Nagariun forest which offers occasional meditation retreats. 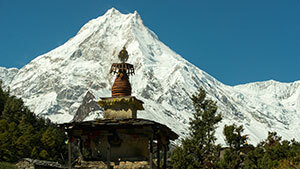 Boasting several UNESCO World Heritage sites, Nepal is home to countless pieces of art and architecture. The works range from Buddhist Thanka to paintings and even traditional handicrafts. Home to authentic literature, theater music and traditional dances, Nepal will display its multicultural heritage. The Kathmandu Valley is home to many museums and art galleries including The National Museum at Chhauni, Museums at Kathmandu Durbar Square, Museum of Natural History at Swayambhu, National Library at Puchowk, Kaiser Library at Thamel, National Birendra Art Gallery at Naxal, Asa Archives at Tangal, National Art Gallery at Bhaktapur Durbar Square, National Woodworking Museum at Bhaktapur Durbar Square, Bronze and Brass Museum at Bhaktapur, Nepal National Ehnographic Museum at Bhrikuti Mandap. Museums outside the Kathmandu Valley are such: Dhakuta Museum, Hattisar Museum in Bhimphedi, Mustang Eco Museum in Jomsom, Tharu Cultural Museum in Thakurdwara and International Mountain Museum in Pokhara. Sculpture :Sculpture is an essential part of Nepalese culture and is still practiced nearly everywhere in the country. Typically religious in nature the sculptures of often simple but portray a higher meaning. Images of countless deities can be found throughout the country each influenced by region styles and decorated according to cultural tradition. Forms of sculpture :Nepalese sculptors work with stone, metal, wood, and terracotta to create their statues. The sculptures often include metal typically copper giving them a reddish patina. Architecture :Nepalese religious architecture shows the diversity of design consisting of thee styles including the pagoda style, the stupa style and the shikhara style. Pagoda style refers to multi-roofed structures supported by carved wooden poles typically laced with multiple windows and topped by triangular spires to enclose the structure.. The stupa style is typically employed by Buddhists and consists of a large dome atop a square base. These are famously seen in Swoyambhunath and Boudhanath. 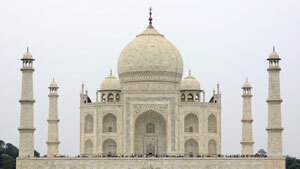 The Shikara style consists of tall curved towers broken into 5 to 9 sections. The most famous building in this style is located in Bhaktapur with five-tier pagoda dedicated to Goddess Siddhi Lakshmi. Woodcarving:Nepal offers numerous beautiful woodcarvings emblazoning everything from windows to doors and handicrafts. Such carvings are widespread around Nepal although Patan and Bhaktapur are particularly famous for their decadent carvings. Nepal has many historically and culturally relevant museums and galleries to showcase works of art from various villages and time periods. The most highly recommended are listed below. The National Museum of Nepal was established in 1928 and is located just outside of Kathmandu. Previously only open to royalty, the museum is now available to the public and a great way to learn more about historical Nepal while viewing many traditional works of art. Nepal Association of Fine Arts (NAFA) was founded in 1965 under the chairmanship of late King Birendra to combine some of the top artists of the era. Many works of these artists are still on display as the Association hold a permanent exhibition of the goods. The Asha Archives is a public library consisting of Nepali manuscripts, donated by Prem Bahadur Kansakar in an attempt to reserve the Newar literature. The archive is open to the public and is an interesting way to learn about traditional Newar culture as presented in their own words. The archive includes palm leaf, loose leaf and folded manuscripts belonging to various sects and languages of Nepal. The most common are ritualistic, medical, magical, astronomical and religious texts. The most interesting are likely the numberous litereary texts including songs, plays narratives and ceremonies in the native language. This museum located in the royal palace portrays the life of King Tribhuvan who helped to overthrow the cruel Rana regime. The museum is noted for its display of many of the kings’ personal items including his literary work, gifts, clothing and a gallery depicting his funeral. Located in Pokhara, the museum chronicles the development of mountaineering throughout the world as well as in Nepal. The museum is highly informative about both the history of mountain climbing activities as well as the lives of the mountain people. A highlight is the hall of the worlds’ mountains that introduces all the peaks of the world over 8,000 meters. This coupled with a mountaineering library and the hall of mountain activities is an excellent visit for any mountain climbing or nature enthusiast. Consisting of over 45,00 books on topics ranging from hunting to philosophy the Kaiser library is perhaps the finest collection in Nepal. The library is famous for its numerous maps depicting centuries old thoughts about the shape of the world. Previously a private collection, the library is now upon to the public and currently offers modern bestsellers and newspapers to compliment the collection. The museum displays many ancient coins, manuscripts, sculptures and stamps displaying Buddha. Coupled with the Lumbini International Research institute, the museum provides an area to research Buddhism and the importance of religion worldwide and is a worthwhile visit for any spiritual people. 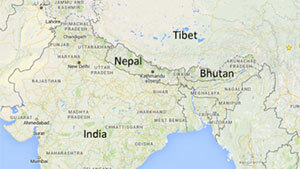 Established in 1975, the museum displays many animal specimens, fossils and skeletons found in Nepal. Much of the research conducted my Nepalese scientists takes place on these premises and now serves as a way to educate locals about natural history and zoology. The National Art Gallery located in Bhaktapur Palace was established in 1960 to display the most famous traditional Nepalese paintings. Although the collection is relatively small it is home to some of the most valuable and timeless works of art in Nepal. The museum is home to an infamous stone art section with many remarkable stone sculptures that have survived the earthquake of 1934. This coupled with the painting section consisting of many traditional and religions depictions makes the gallery well worth a visit. Housing numerous collections of regal brass and bronze metal works, the museum is noted for its religious presence and holds many objects ranging from kalash to incense stands. This is interestingly coupled with a spittoon collection for past nobility. The library established in 1857 houses a personal collection of the king and consists of 43,00 books and periodicals in numerous languages including Nepali, English, Chinese and Sanskrit. A large collection of old newspapers is found in an interesting section showing how the news has evolved overtime. As one of the spiritual capitals of the world, Nepal is home to many monasteries housing nuns and monks of different religious groups and ethnicities throughout the country. There is nothing quite like visiting one of these monasteries as they are often located in the most serene and peaceful location so the inhabitants can focus on their religious endeavors. 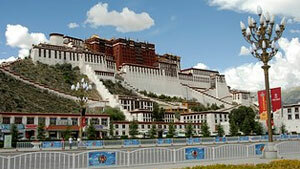 A list of the most popular and prominent monasteries is found below. Nepal offers a wide range of diverse and fascinating birds highlighted by the Koshi Tappu wildlife reserve. With more than 850 species the hills around the Kathmandu valley make for very popular migratory bird watching. The Himalayan region is home to many birds of prey including the lophophorous, hawks, eagles and vultures offering bird enthusiasts a great opportunity to see a wide range of birds in a short time. Coupled with these options are more tropical birds located in the southern regions and Chitwan National Park. .
Nepalese butterflies have been studied for over 150 years due to the wide range of diverse species offered in Nepal. The forested areas in the country are home to 651 different species of butterflies that are visible year round although the best seasons for watching occur in the spring and fall. These butterflies can be found in nearly all climates ranging from the valley to base hills to the hilltop bush throughout the country.